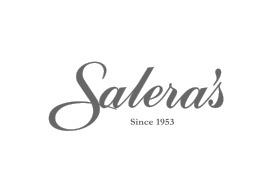 Salera's have been servicing the needs of discerning jewellery and watch buyers in Australia since 1953. With six generations of European gold smithing and watchmaking know how, Salera's are confident that they can help with your jewellery, premium watch and gift requirements whilst at the same time making your shopping and buying experience an enjoyable and memorable one. If you are in the market to buy that perfect gift or just have the need to treat yourself to something really special, visit our staff at the Chadstone store and discover why Salera's have a reputation for quality, service, value and integrity.